Arsenal fans are yet to recover from their midweek disaster against Bayern Munich in the Champions League but have more bad news to deal with. The Mirror reports that Arsenal playmaker Santiago Cazorla is a target of Turkish giants Fenerbahce in the summer. The Spanish international’s contract at the Emirates is up for expiry in the summer of 2017 but Arsenal have an option to trigger a one-year extension. The Spaniard has been a darling of the Arsenal fans since his move to North London from Spanish side Malaga, but has missed a major part of this season due to injury and has struggled with various injuries, lately, which could be the reason for his transfer. 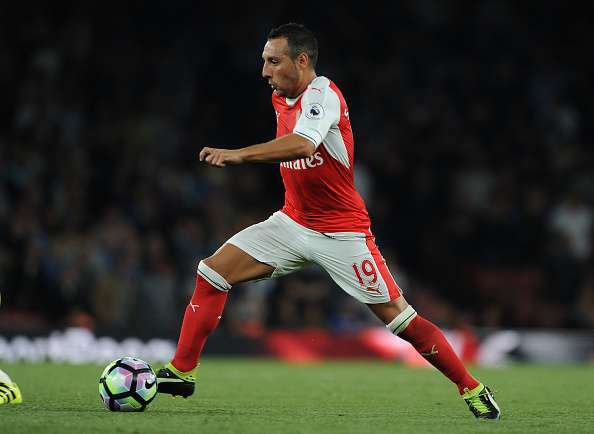 Arsene Wenger insisted back in December that Cazorla’s poor luck with injuries this season will not affect the club’s decision to reward him with a contract extension. The diminutive player is one of the most experienced and talented members of the squad. Cazorla is currently working on his return from an ankle injury which has kept him out of action since November. Without his creativity in midfield, Arsenal have often struggled to conjure chances and dictate the tempo of the game. Turkey is a popular destination among players in the latter half of their career with the likes of Lukas Podolski, Robin van Persie, Nani and many other players playing in the Turkish Super Lig. Fenerbahce are a club who can tempt Cazorla with huge wages and they also play in Europe almost every season, which could tempt the Spaniard to make the switch. It is public knowledge that Wenger’s future at Arsenal is pretty much up in the air right now. His contract is also ending this summer and there are suggestions that he could step down from the manager’s hot seat. The uncertainty regarding the future of the manager might be a reason why Arsenal are not holding contract talks with Cazorla. The club have not set a return date for the Spaniard from his injury, and there is a possibility that the Arsenal faithful may not see the midfielder in the red and white shirt of the Gunners ever again. Cazorla is a quality player and Arsenal have missed his guile and goal-scoring ability from midfield since his injury layoff. It would be foolish for Arsenal to let go of the Spaniard with so little quality available to them in midfield. The former Malaga man may be on the wrong side of 30, but players like Ibrahimovic, Defoe, Gerrard and Carrick have shown that age is just a number!